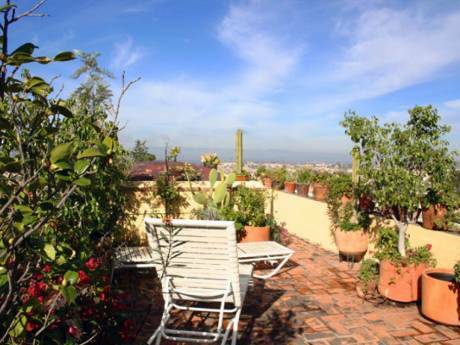 Our home is on a hill overlooking colonial San Miguel de Allende. Our home is very comfortable with all modern conveniences. Our garden won Garden Design Magazines, Golden Trowel Award in 2005. 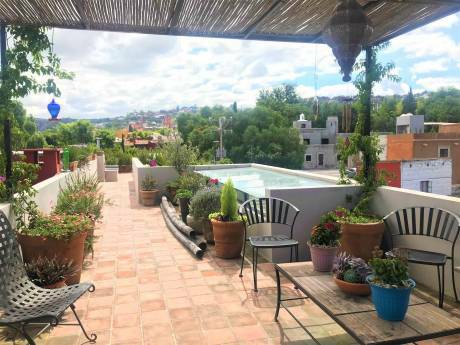 We have a large master suite with a beautiful terrace with fireplace, outdoor dining, and a beautiful view of San Miguel. Sharon Milligan is a former resident of southern California. Sharon is an artist who specializes in bronze sculpture. See the website. I have a new grandchild in San Clemente, California. My first choice would be an exchange in this area. I also have a guest house so a non-simultaneous exchange would be possible. I have previous home exchange experience. 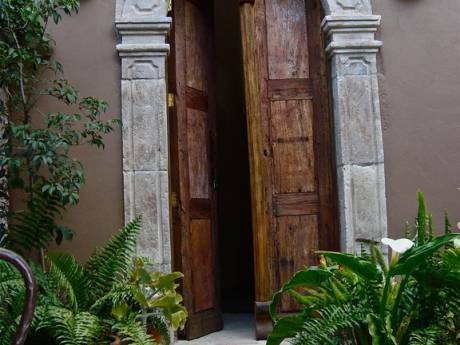 San Miguel de Allende has become one of the must visit places in North American if not the world. This 500 year old Mexican colonial city is a delight for th tourist. Lots of great art, dining, hot springs, shopping, etc. We are located a pleasant 15-20 minute walk to the center of town.